Tip #9 – Add a New Rule to the game – If any player attempts to tackle another player by simply throwing his body and leading with the head and makes no attempt to wrap up with the arms, a personal foul penalty should be assessed. This rule exists in the sport of rugby and should apply to football as well. Before 1955 a runner was not deemed down in American football until all forward progress was stopped. In 1955 the forward progress rule was changed so that if any part of the players body other than his feet or hands touched the ground he would be deemed ‘down’. At about the same time plastic helmets were becoming widely used and the combination of these two events began the subtle move away from the boring idea of sound tackling to the massive collisions often caused when players hurl their bodies like missiles at their opponents. The helmet became a weapon used to knock down the ball carrier since stopping all forward progress was no longer necessary. 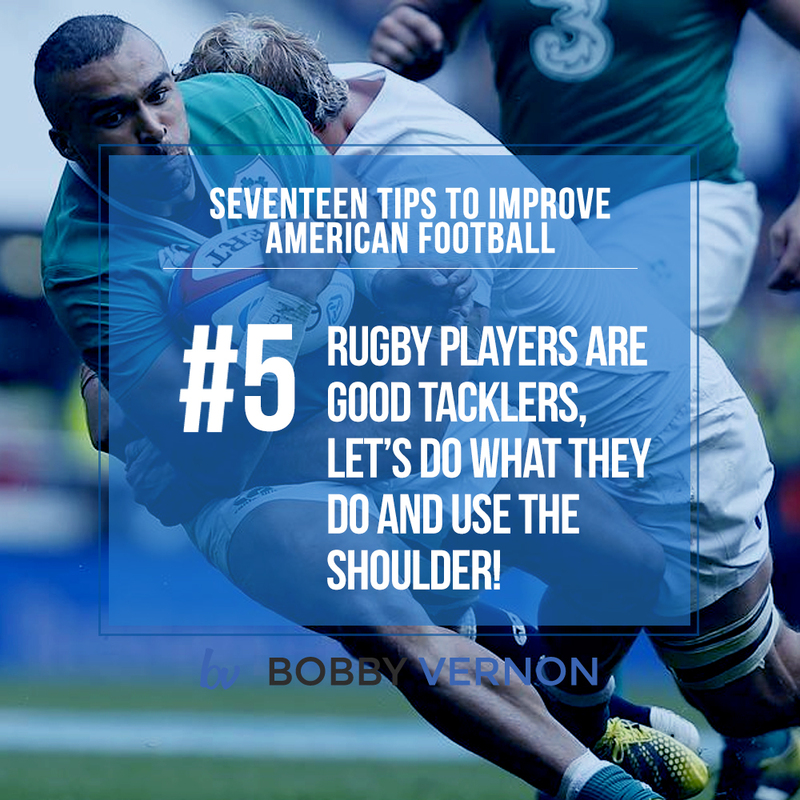 By implementing this simple rule change, it will force players back into the habit of sound tackling which if done correctly can be just as physical and exciting.